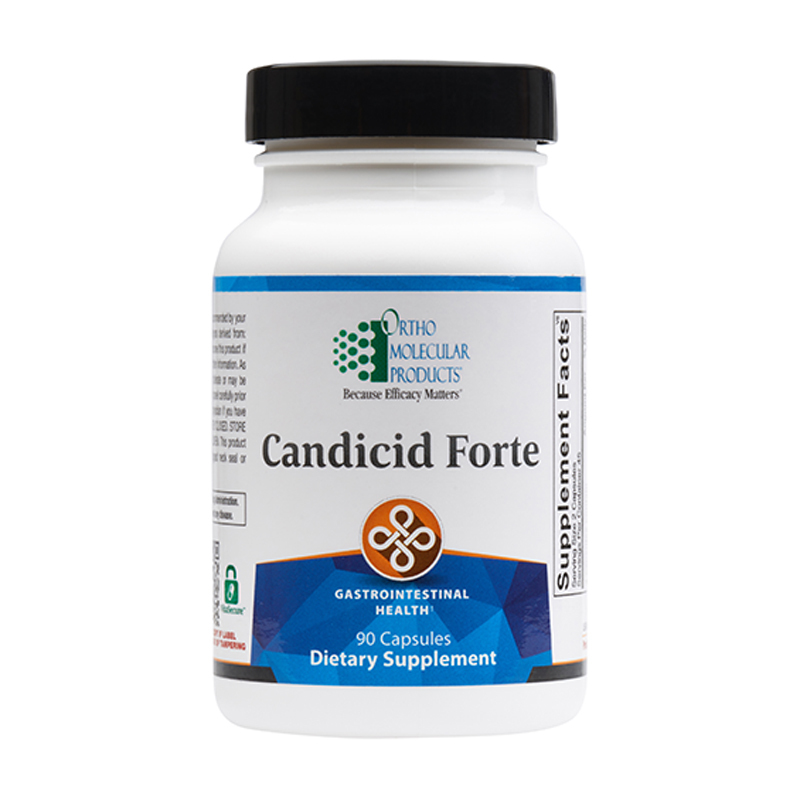 Candicid Forte provides a blend of nutrients, potent botanicals and essential oils to promote healthy microbial balance and immune support. Gastrointestinal health is directly affected by factors like poor diet and a stressful lifestyle. The prevalence of refined sugars and carbohydrates and lack of fiber in Western diets have been directly linked to changes in the intestinal and colonic environments. Since more than 70% of the body’s immune system resides in the gut, establishing a healthy microbial balance is critical in reducing immune challenges and maintaining inflammatory balance. Formulated with the goal of building a healthy gastrointestinal (GI) flora, Candicid Forte includes biotin, a nutrient that inhibits yeast from converting into the more aggressive fungal form. In addition, sodium caprylate is included to disrupt the metabolism of Candida and create a hostile environment for colonization. 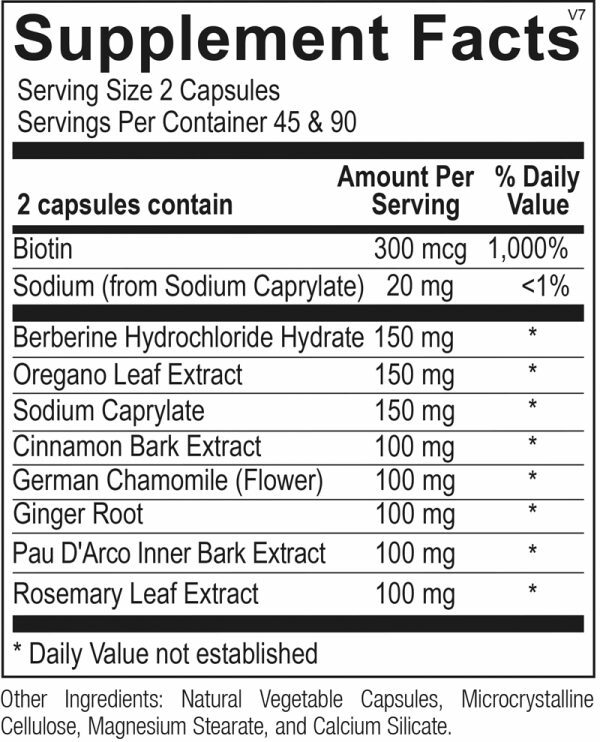 It also includes potent botanicals, such as berberine HCl, Pau d’Arco, oregano, rosemary, cinnamon and ginger, to sooth the GI tract, provide potent antioxidant support, and ensure microbial balance.